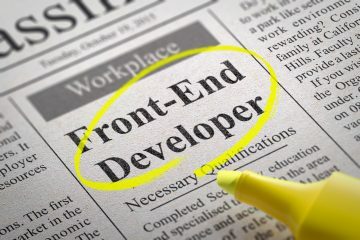 Are you confused about the difference between UX, UI, and frontend development? This guide will shed some light on why the three terms aren’t interchangeable. We’ve all heard the terms UX, UI or frontend development thrown around. As hip as those words might sound, how many people–besides those that actually work in the industry–really know what they mean? If you’ve ever found yourself a little lost when talking with designers or developers about the various stages and roles in the process, keep reading for a closer look at the differences between UX, UI and frontend development. If you think of UX, UI and frontend like layers of cake, UX forms the first layer. UX is simply a shortened, industry term for user experience. When designing an app, a UX designer tries to design the best possible experience for the end user, ensuring that data flows smoothly and users can easily understand the app. UX deals broadly with the user’s experience across the app, website, or another piece of software. According to famed designer Dieter Rams, a product must be useful in order to be designed well. UX design addresses this point by making products that users can easily understand and function properly. Where UX design is broad, UI design is much more specific. UI, or user interface, design refers to the design of specific elements that users deal with in an app or piece of software. A UI designer does the sort of work that most people identify with design. UI design addresses the look and feel of things like buttons, text, and layout. While on the surface, UI design might seem a bit simpler than UX, given that it just addresses the surface elements of design, designing the look and feel of anything is still highly complex. 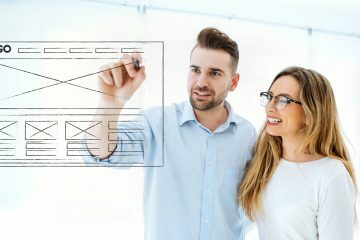 A UI designer has to take all the principles of design into account when crafting an interface–including balance, proportion and the overall look and feel of the app. Where UX designs the underlying process and usability of apps and UI addresses the appearance, frontend design puts the two together, creating the final product. Frontend work puts the final layer on the cake, getting it ready for users to see and interact with. The frontend work ultimately deals with the development process and putting the UX and UI work into practice. Naturally, this type of design involves a bit more technical work than UI or UX design. Not only does the frontend developer need to make sure the app works, they also need to make sure it communicates with the backend–sending data where it needs to go. UI, UX, and frontend development are all key components in the design and development process. Without one of these roles, the whole process falls apart. It’s also important to remember that each of these roles represent separate, distinct processes. Trying to have one designer perform all three roles can be tough. Interested in learning more about the design and development process? Check out the rest of the blog or get in touch with us to get started on your next project.